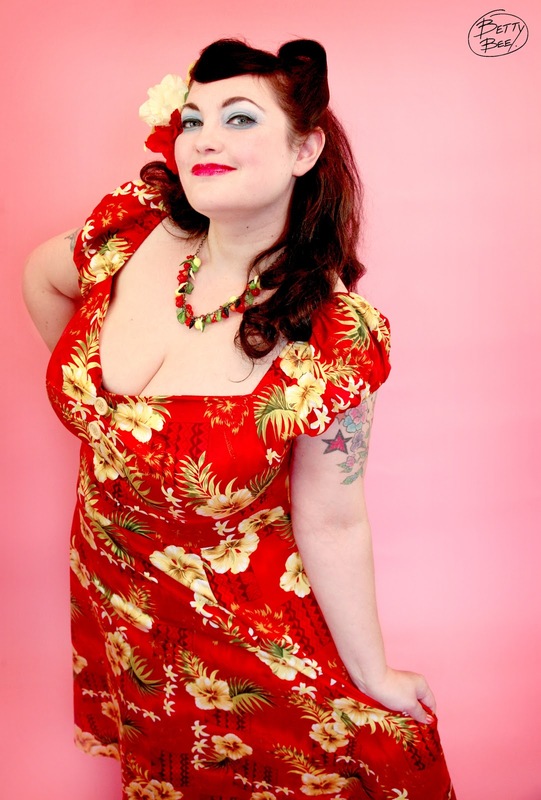 Yesterday I was shooting two photo sessions both being shot by my husband Pin up photographer Nick Beedles who runs our company Betty Bee Photography. One session featured Collectifs plus size range for a feature next week and another for Wonderland Wigs for a future blog post. I had discussed the make up look with Lilly Von Pink who despite being heavily pregnant still performed make up artist duties and we opted for a very strong blue eyeshadow to work against the orange dress and hot pink lip gloss. It was a real departure from my normal look and I absolutely loved it. For the Wonderland wigs shoot I went for a strong smoky eye and dark lips and yet again I just loved it. Lena Stobbe who styled my hair throughout worked with me to create various looks using the wonderful wigs. My favourite was this Wanda from Cry baby inspired look. Im usually behind the camera so it was such a great experience to turn my hand to some modelling and fly the flag for plus sized girls who refuse to wear tents!